What would you do if you found a dragon living in your basement? When little Alex finds himself in this situation he is beside himself with excitement but he knows that he’s going to have to get some expert advice so that the dragon doesn’t burn down his house. 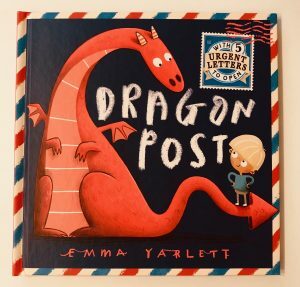 First he writes to the Fire Brigade, who send him back some excellent advice on keeping the dragon cool and moist. Next he contacts a local butcher to find out what the dragon might like to eat. The reply is a little concerning (the butcher is quite keen to find out what dragon meat tastes like!) but offers up some useful suggestions re dragon diets. Soon Alex and his dragon are having lots of fun! 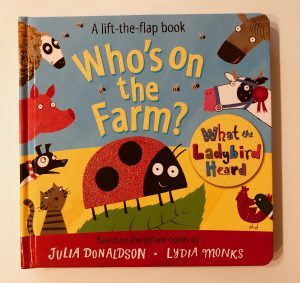 Ivy always gets excited when we receive parcels of books in the post but when we opened this one she was bouncing with joy as it combines two of her favourite things – the song ‘Sleeping Bunnies’ and lots and lots of little flaps to lift and explore. 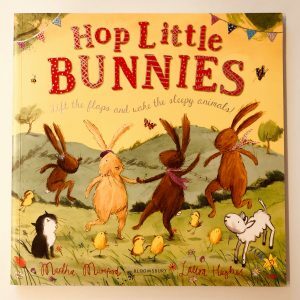 Adapted from the popular nursery rhyme, this beautiful book starts with a group of very sleepy bunnies lazing on picnic blankets. You are invited to wake them up by lifting the flaps and then turn the page to see them all ‘hop hop hop’. The group of bunnies then take a little walk through the countryside and find lots of other animals having a snooze, including lambs, chicks, kittens and ducklings. Your little one can wake them all up by lifting the flaps (or by yelling ‘WAAAAAAKE UUUUUUP’ as Ivy chose to do!) and watch them play together. When you have a baby you seem to spend most of your time talking about or dealing with poop, then just when you think you’re done, your toddler suddenly develops a fascination with what it is and where it comes from. Sigh! 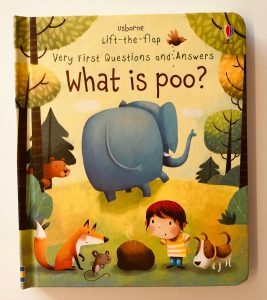 If you’re getting lots of questions about poop or having problems potty training then this fab little book from Usborne might be what you’re looking for. 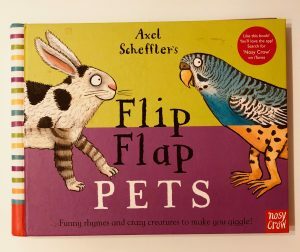 It’s full of fun facts and lift-the-flap sections to entertain and educate curious little minds. What is poo made of? Does everyone poo? How much poo does an elephant do? Where does it go when you flush the loo? What kind of animal has spotty poo and whose poo looks like toffee? I spotted this one on Instagram a little while ago and I admit that I bought it based solely on how pretty the cover is! It’s a beautiful book – but it has so much more to offer than the aesthetics. 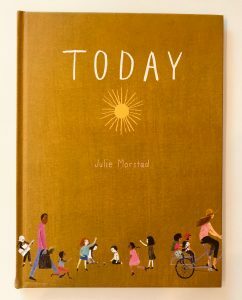 The pages take you through a typical day for a child – albeit during a weekend or a holiday – and asks you to make lots of decisions. What will you wear today? What hairstyle will you choose? What will you eat for breakfast? Where would you like to go if the sun is shining? How do you plan to get there? How about if it’s raining? What game shall we play? Do you want bubbles in your bath? Which pyjamas will you wear? Every option is beautifully illustrated and there is a great cast of diverse characters. The clothing, hair and food choices cater for different cultures, which opens up lots of discussion and opportunities for learning new things about the world. My super-picky daughter is fascinated by the fact that in some countries rice is eaten for breakfast and she definitely wants to move somewhere where you can travel around on a camel or where grass skirts are an option! We love this festive lift-the-flap book which will appeal to fans of the 80’s classic ‘We’re going on a Bear Hunt’. Join a group of bunnies, wrapped up warm in their winter woollies, as they head off on an adventure to find Santa’s elves. On the way they encounter sliding penguins, chirping robins, snoring polar bears and clippy cloppy reindeer. 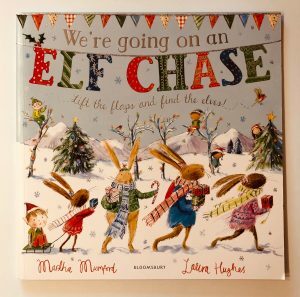 The bunnies do an excellent job of manoeuvring around the obstacles in their path but they will need your child’s help to find all the elves, who are sneakily hidden away behind flaps on the pages. 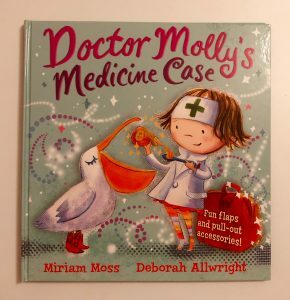 Little Molly loves to dress up and today she has decided to be a doctor. She pops on a white coat and grabs her magical medicine case, which is guaranteed to contain everything she needs to make her patients feel better. Very soon her little surgery becomes busy. She treats a polar bear with a cold, a crocodile with a broken tail and a pelican who has a sore throat from eating too many bony fish. Each time she opens her bag, the items she needs magically appear – a thermometer and hot water bottle for the bear, some soothing cream and plasters for the croc and some honey and a spoon for the greedy bird. Soon they all feel better and are off on their way – but Molly is confused when they all come back complaining of rumbling tummies. Can her magical medicine case deliver the goods and help them feel better this time? Ivy spotted this on the shelf of our local bookshop last week and was instantly fascinated. She sat on the floor looking at it for so long that I definitely had to buy it! The simple format shows 18 animals per double page spread. Their size, shape and position on the page doesn’t change so Ivy quickly learned to identify what each one was and its rough location. Each page then asks you a question and you have to find the correct animals in order to answer it. 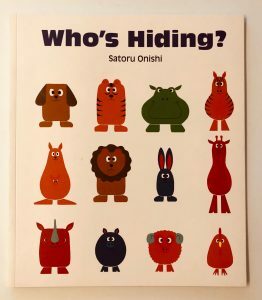 The questions are things like ‘Who’s hiding?’, ‘Who’s backwards?’ and ‘Who’s sleeping?’. I particularly like the questions around emotions (Crying, Angry etc) as your child has to identify the emotion by looking at the expressions on the animal’s faces. Ivy likes to mimic the faces – particularly the angry bear! 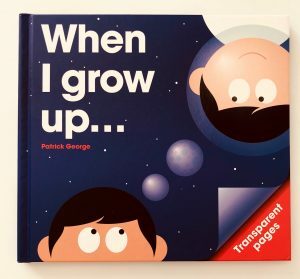 When I Grow Up… by Patrick George is a very visual, interactive book so it’s quite difficult to do it justice with just words! The book encourages your child to think about what job they might like to do when they are an adult and the fab transparent pages add an extra layer of fun. First we see a picture of a girl who wants to be a pilot. On the opposite page is an aeroplane with big shiny windows. The windows are printed on a transparent page and when you flip this over they become a pair of an aviator sunglasses on the young girl, instantly transforming her in to a pilot.